Pre Spawn: When the water temperature is between 45-54 degrees in early spring, bass begin their movement away from the deep water. This movement will be slow. 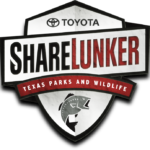 You will find bass in or near deep water during this period, on drop offs, points, creek banks and creek beds. A few bass will move to shallows on warm sunny afternoons. The bass metabolism is slow and they won’t chase fast moving lures. 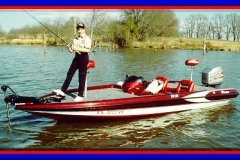 Slow rolling spinnerbaits and crank baits will work, but you must retrieve them slowly. 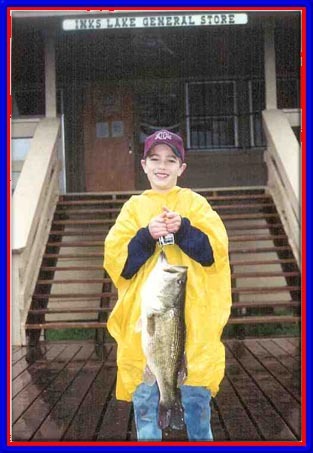 When the water temperature rises over 55 degrees, the bass move from the deeper water into the shallows. The warmer water will make the bass more aggressive. 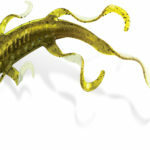 The best lures will be spinnerbaits, Texas rigged worms, crankbaits and top water minnows. When the water temperature reaches the 60s, tie on a spinnerbait and work the shallows — the bass will be selecting spawning sites. Post Spawn: Some bass will remain in shallows for a short period and will strike spinnerbaits, worms and top water lures. Bass will leave the shallows and head for their summer homes. 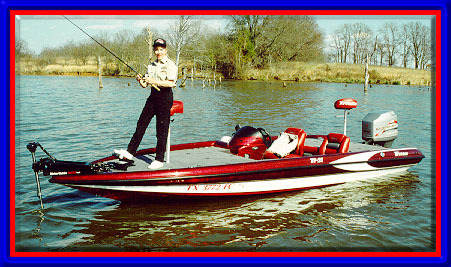 During this time bass are hard to locate so stay on the move, and work creek banks, points and drop offs. 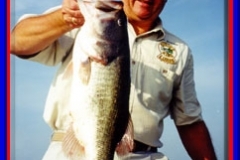 The warmer water accelerates the bass metabolism; therefore, early in the morning and late in the evening, bass will come from deeper water up in the shallows to feed. 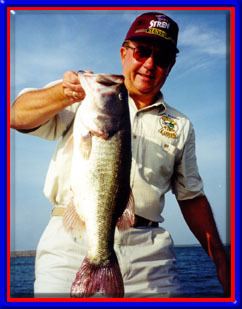 Spinnerbaits and buzz baits will produce good bass. As the day progresses and temperatures rise, fish deeper waters: drop offs, the edge of creek banks, tank dams, and sloughs. The Texas rigged worm will produce some good bass. 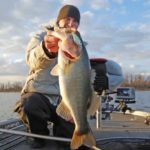 In the early fall, bass will go on longer feeding sprees. 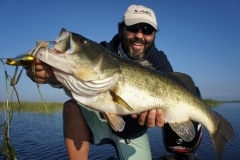 Larger lures will work — spinnerbaits, crankbaits, and buzz baits. Your retrieves should be from moderate to fast. 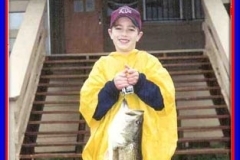 When the water temperatures reach about 55 degrees, the bass will begin to move to their winter homes. You can locate them on creek banks and points as in early spring. During the winter, bass stay deep near drop offs, creek channels and submerged timber. Fish your lure slow. 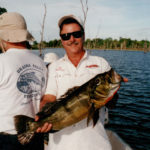 Jigging spoons, jigs and worms will produce some large fish. During winter months, I always use a dark colored worm, preferably black/blue. If you need guide service, or I may be of any assistance to you give me a call. Happy Holidays!! !